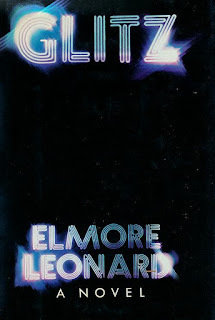 On the anniversary of his birth CrimeReads gives us "Elmore Leonard's Greatest Opening Lines." Elmore Leonard was “the Dickens of Detroit,” “the poet laureate of wild assholes with revolvers,” and above all a master craftsman. Ever a writer’s writer, Leonard honed his craft meticulously over a career that spanned sixty years and nearly as many books, from westerns to era-defining crime novels like Get Shorty and Out of Sight to short story collections that still infuse the pop and mystery culture to this day. Leonard’s “Ten Rules of Writing,” published in the New York Times in 2001, has become gospel for many a writer, including such timeless gems as “[t]ry to leave out the part that readers tend to skip” and, most famously, “[i]f it sounds like writing, I rewrite it.” Leonard was also renowned for his opening lines. (In his “Rules,” he warns writers to skip prologues and never to start by describing the weather.) Rightly, he’s now remembered as one of the greatest lead writers in the history of crime fiction, able to engage a reader, capture a mood, and establish a world in a few brief words.